Celebrate the Seasons at Sea! Set sail for cruises that are a little scary and some that are very merry! The holidays are filled with even more reasons to sail with Disney Cruise Line — everything from special parties to enchanting stage shows. Plus, all the delicious Disney dining, relaxing adult hideaways, and magical entertainment you’d expect. Are you ready for ghoulishly good times? From Mickey’s Mouse-querade Party with trick-or-treating to a villainous nightclub takeover, the Halloween-themed sailings are sure to be a scream! 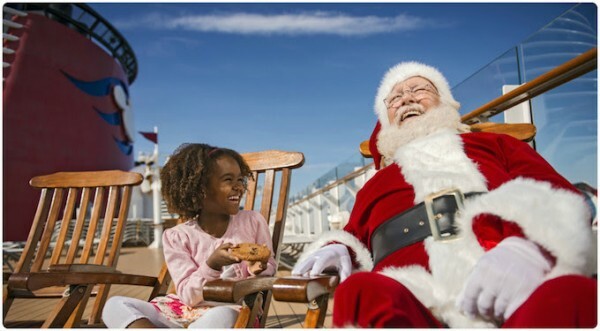 Disney Cruise Line is decking the hulls with festive fun for everyone, including a tree-lighting ceremony, a tropical holiday deck party, a Winter Wonderland Ball, and a visit from Santa. Call 407-434-9397, send an email, or request a quote online! This entry was posted on July 3, 2015 at 1:55 pm and is filed under Disney Cruise, Disney Vacation Planning. You can follow any responses to this entry through the RSS 2.0 feed. You can leave a response or trackback from your own site.